Around West Yorkshire, there are a couple of really very successful Asian restaurant empires. The Mumtaz group are one of them, with two restaurants – a huge place in Bradford and an impressive new dining room on Clarence Dock in Leeds – and a reputation for first rate food. Their bold claim to be ‘world famous’ probably isn’t far off the mark. Companies like this often start to branch out a little. 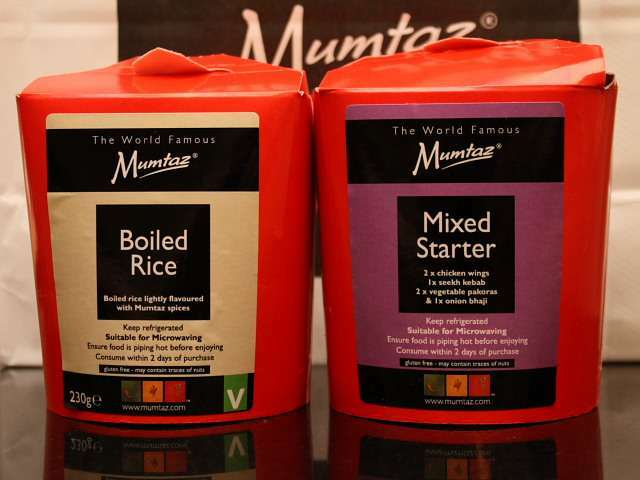 The arrival of Mumtaz cook – chill curries in local supermarkets took nobody by surprise, but the introduction of a baby food range probably did. With Jaldi Jaldi, a chain of franchised fast food outlets, Mumtaz is taking on the take away market from a slightly different direction. Jaldi Jaldi carries a range of curries and main dishes -kormas, rogan josh, dopiaza, matter paneer, daals, aloo palak and the like alongside the usual naans, bhajis and pakoras. Food is packaged from a counter, much like at a supermarket deli, and sold to you either hot, ready to eat, or cold, for you to heat up later. It’s a pretty good way of doing things. There’s nothing worse than a lukewarm takeaway that’s been sat on the passenger seat of some bloke’s car for a bit too long…why not just take care of the heating up part yourself. The food itself is fresh and vibrant – the chain is clearly taking advantage of Mumtaz’s significant production muscle – and it’s very good indeed. We had a mixed starter of pakoras, onion bhajis, chicken wings and spicy seekh kebabs, loaded with chilli. 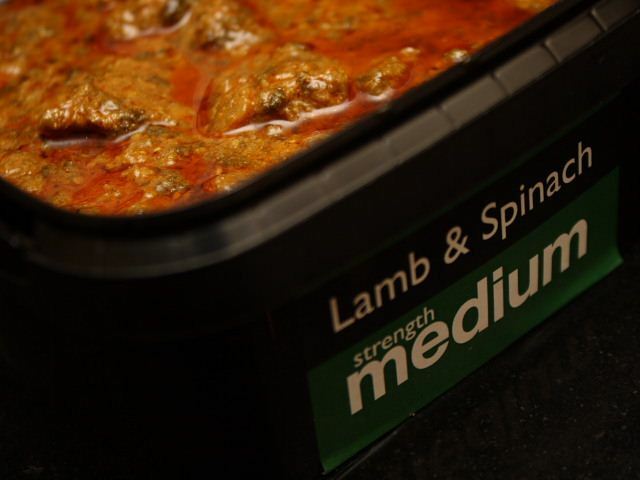 A lamb and spinach curry was packed with garlic, ginger and big pieces of meat and a karahi chicken curry, described as ‘medium’ was nothing of the sort, with it’s significant hit of flavour and heat but no worse for that. All of the curries can be had with rice as a ‘J-tub’, a box like the ones in the picture, for the bargain price of £3.95. That, my friends, is a proper lunch. There’s also a range of naan paninis, which are essentially naan breads stuffed with all manner of spicy fillings for £3.75. The J-tub and naan panini concepts are very strong, and they’re strengthened further by the chain’s canny choice of locations…Headingley, Leeds University Union, Bradford’s main retail park. A lot of students or passing trade around each of those spots, and a proper curry from Jaldi Jaldi stands up very well against, say, a four quid sandwich from Starbucks. The whole Jaldi Jaldi concept is very appealing. The food is up to the normal Mumtaz standard (i.e good enough for the Queen), and the stores are bright, fresh, modern and inviting, as well as convenient. The packaging is well designed and attractive…quite fashionable, dare I say? It’s practical, too – no spills on opening, and everything stacks up nicely in a paper bag. 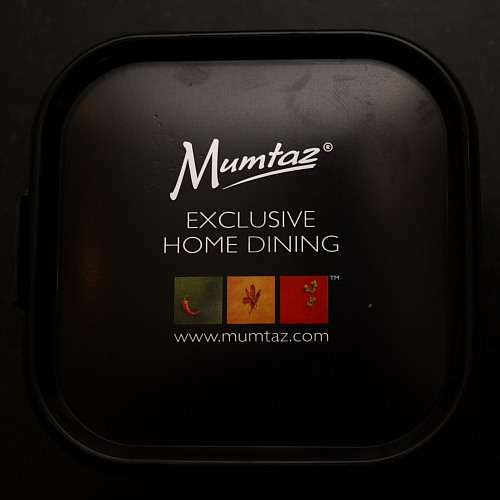 Nice one, was a big fan of mumtaz when at uni in bradford, although usually for special occasions as it was a fair bit more expensive than the other places we frequented. since then they seem to have gone from strength to strength, we even get the takeaway ready meals in morrisons up here now! I noticed yesterday that they've opened one of these in the dark arches in Leeds city centre (at the entrance to Granary Wharf between the Hilton and the train station). I know that the Mumtaz restaurants have an excellent reputation, but I was a little suspicious that all they're selling here is their industrially produced ready meals in different packaging. With today's sophisticated food technologies it can be difficult to guage sometimes, so would you say the food is really just a premium oven meal with clever marketing or is it noticably superior? Thanks. I think it's a bit of both – this is clearly closely related to their cook-chill range, but it's markedly superior to the kind of stuff you get from, say the Asda deli counter, and a million times better than most of the normal fast food rubbish out there. The thing that nails this concept for me is the locations they've got – the Granary Wharf one you mention is another great spot. On the 'branching out' theme – Mumtaz have a VENDING MACHINE at Leeds/Bradford airport! you know, I haven't eaten frozen 'micro meals' in probably ten years – until I discovered Mumtaz. And not even this range – the normal one! I just find thier stuff that cut above the rest that makes it worth it. And in some cases – better than a takeaway. Kudos for featuring it. Lamb and Spinach was very tasty though – but I think for the extra £ I'll stick with getting the cooked take away from my usual source. However – as they have a branch at the Uni where I work, think I might get a couple of warming lunchtime offerings. i know the person who owned all the leeds stores as these are franchises. He barely did 6 months and lost all his money apparantly 1/2 million pounds and mumtaz group had to take the shops back! so i dont think this concept will work and most of the shops barely have a customer in all day and shop locations they have are very expensive so time wll tell! As per the last entry – i see the Jaldi Jaldi in Headingley is already no more. Notice on door states that all business transferred to Merrion Centre outlet. Was always dead when i walked past – so of no great surprise.